Unite, the largest union for construction workers, is calling on the industry to take radical action to reduce the high number of suicides among its workforce. New analysis by the Office for National Statistics found that the risk of suicide among low skilled male labourers, particularly those working on construction was three times higher than the male national average. For males working in skilled trades the highest rate of suicide was among building finishing trades, especially plasters and painters and decorators who had more than double the rate of suicide than the male national average. Research has found that major factors which can put people at risk of suicide include low pay, low job security and wider socio-economic characteristics. All of which are potentially major factors in construction. 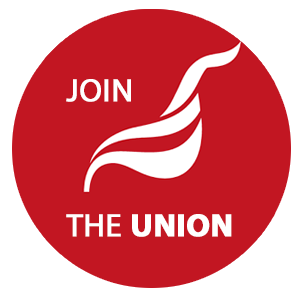 Unite acting general secretary Gail Cartmail, said: “These figures are truly disturbing and demonstrate that sadly the majority of construction employers are failing in their duty of care to their workforce. This is the latest evidence that the industry’s hire and fire culture is fundamentally unhealthy and is a major factor in these terrible and needless tragedies. “Until the industry re-organises its approach to its workforce then it is not going to tackle the underlying causes of suicide in construction. Construction needs to tackle the macho culture where workers who talk about their feelings or mental health issues are too often considered to be ‘weak’. “Unite is fully prepared to work with any employer large or small who is prepared to do the right thing and tackle mental health issues and the risk of suicide in construction. “In the short term we need to be raising awareness of the suicide risk in construction and explaining where workers can receive confidential support. We also need to be ensuring that far higher numbers of workers, including union safety reps, are trained in mental health first aid”.